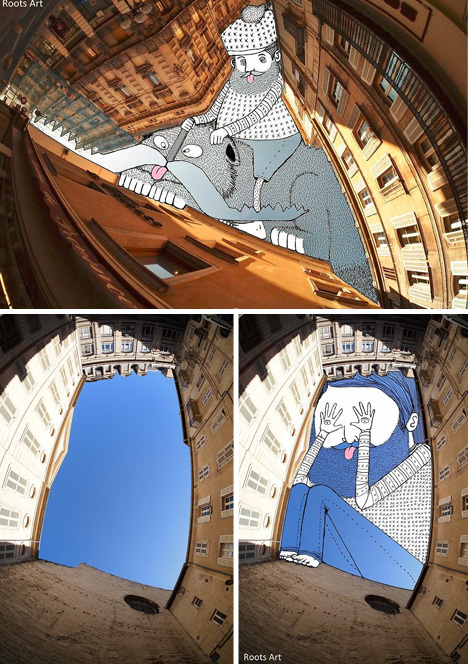 Street art uses roads, sidewalks, walls and infrastructure as canvasses, but one of the brightest and blankest slates of all may be the spaces in between. 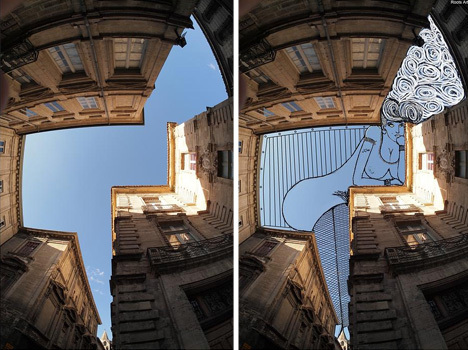 Thomas Lamadieu, a French artist, looks up and sees subject, not void, in blue and clouded city skies, then uses his imagination to fill in the picture, playing on notions of figure and ground. 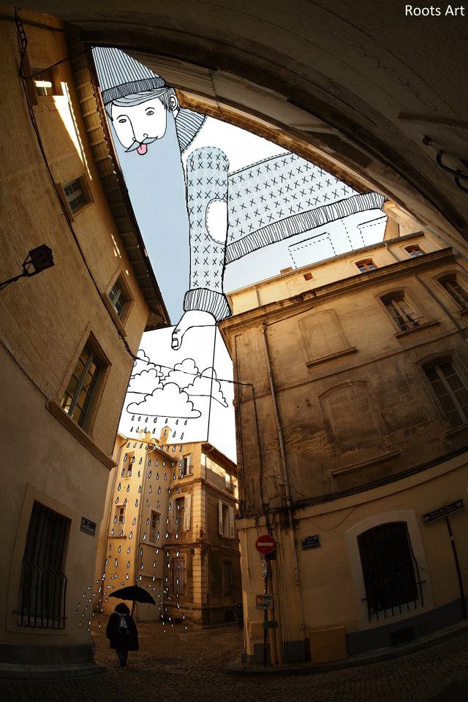 His Sky Art series shows a given and take between shapes being worked with and what he puts in, often working with minimalist lines and splashes of color. 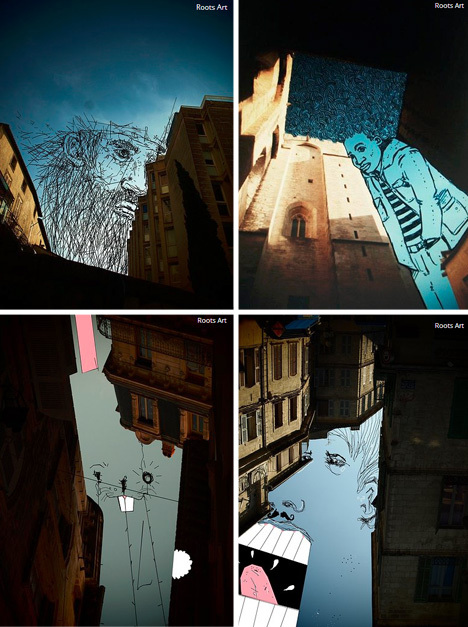 In the process, he turns tapering alleys into uncomfortable figures, sinuous spaces into leaning ladies, and cramped courtyards into crouching pranksters, all the while challenging us to see back and forth between positive and negative space (and selectively breaking the boundaries in between).